Lemon Harangue Pie: UFOs: The REAL reason behind the JFK assassination? UFOs: The REAL reason behind the JFK assassination? 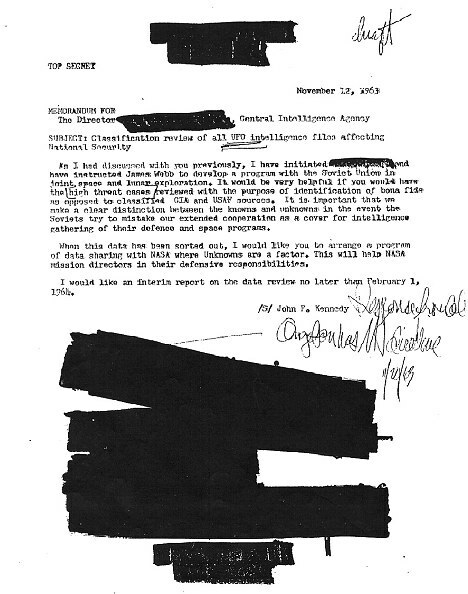 An uncovered letter written by John F. Kennedy to the head of the CIA shows that the president demanded to be shown highly confidential documents about UFOs 10 days before his assassination. Sounds like something straight out of The X-Files.